X marks the spot in Hugh Jackman’s final ride as the Wolverine. It was only through failed casting negotiations with Dougray Scott that the world was introduced to Hugh Jackman, on the recommendation of Russell Crowe, back in 2000’s X-Men. The incredibly last-minute casting decision launched Jackman’s career to dizzying heights, and cemented his portrayal of Marvel’s Canadian badass the Wolverine as a cinematic icon on the same level as James Bond. Logan closes the book on Wolverine by fast-forwarding to a mutant-free future, which sees years of pain and punishment catching up with a now alcoholic Logan. Haunted by an incident which wiped out most of the X-Men, Logan cares for his old friend Charles Xavier (Patrick Stewart in his final appearance as the Professor), who appears to be suffering from a form of dementia that affects his telepathic abilities. A horrific scientific experiment by Dr. Zander Rice (callously played by Richard E. Grant) coaxes Logan out of obscurity, and he is forced to go on the run to protect a mysterious young girl with uncanny super-abilities. The older, haggard version of Wolverine seen in Logan is inspired by the acclaimed comic book story Old Man Logan. The latest entry in the box office-dominating series takes elements from the comic book storylines Old Man Logan and Death of Wolverine, while crafting something entirely unique. Logan takes a tonal shift towards a darker, borderline-dystopian corner of the X-Men cinematic universe, whose exploration is long overdue for film franchise about a guy whose most prominent superpower is stabbing people to death. The 15 rating seems to be riding the wave of critical and financial success enjoyed by Deadpool, while addressing the factors and criticisms that have somewhat kept the X-Men films on a leash at times. It allows director James Mangold the creative freedom to finally depict the bloody realism of Wolverine’s wrath as he skewers skulls and bludgeons bad guys, and the anguish of Logan as his waning healing factor struggles to keep up with his injuries. Mangold strips away massive set-pieces for a more emotional exploration of Logan’s character, and his relationships with his mentor and father-figure Professor X, and the young mutant Laura (a wonderful debut from Dafne Keen). The result is often harrowing and brutal, but it can also be beautiful. The film’s relaxed pace allows us to dwell on some gorgeous, sun-drenched, spaghetti Western-inspired cinematography as Logan’s last journey takes him through deserts and forests across the US. Ryan Reynolds wants to make a Deadpool/Wolverine crossover, and is trying to convince Hugh Jackman not to hang up his claws indefinitely. Some of the film’s lighter moments feel rewarding and consistent with the tone of Logan, such as legendary thespian Patrick Stewart dropping f-bombs, and pale-skinned mutant Caliban (Stephen Merchant) quipping about Logan smashing his favourite mug. However, the finality of seeing two legendary icons bowing out of what are arguably their most famous roles, and after their finest performances in them, may just be enough to bring a tear to your eye. 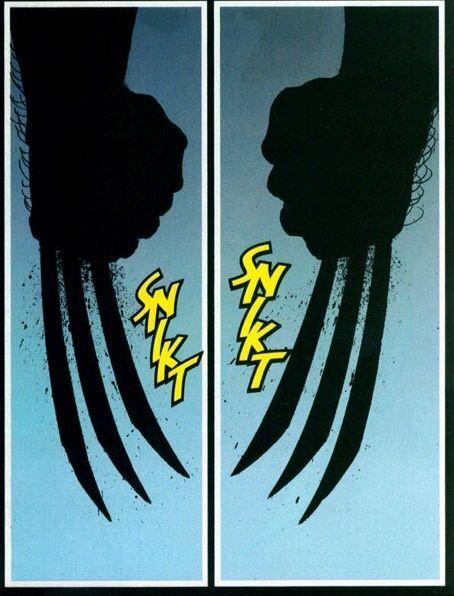 Hugh Jackman’s swansong in a 17-year stint playing Logan/Wolverine/Weapon X is the best one yet, and I really feel for whoever ends up with the unenviable job of SNIKT-ing into those claws in the future. A solid swan song for Jackman in this role. Nice review. Thanks very much Dan, your site is awesome!